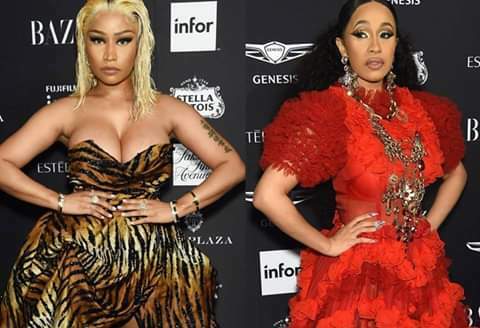 Cardi B has taken a direct shot at Nicki Minaj’s fans ”Barbz”. Following the leak of Cardi’s new song “Money” on Tuesday, the artist went on Instagram Live to address Nicki Minaj’s fans. Cardi explained that her newest song was leaked two days early, much to her dismay. She then revealed the Barbz pushed her team decided to go ahead with the release in advance of it’s planned date. Cardi said she has grown “sick and tired” of the Barbz. “They seem like my biggest f–king fans, always on my f–king page. Always doing the most,” Cardi said.